It’s hard to believe season seven of Game Of Thrones is drawing to a close. This has been a divisive season, often replacing careful plotting and intrigue for fast paced visual spectacles and huge game changing moments. Some viewers have criticised the ‘rushed’ nature of this season, as the showrunners work against time to tie up loose ends, without any fresh book material to pull from. Others have relished the rollercoaster way the story has moved forward, full of action, peril and urgency. The question remains, how will this season wrap up, and how will this set us up for the eighth and final season? Ravens tell us that the #GoTS7 finale will be 79 minutes and 43 seconds. 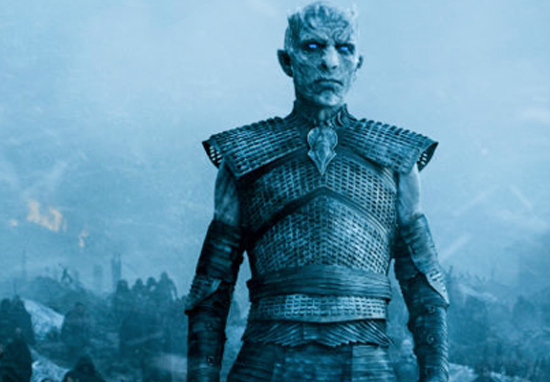 Director Alan Taylor, who directed the magnificently terrifying sixth episode Beyond the Wall has warned fans episode seven The Dragon and the Wolf will be ‘gruesome and lethal’. But you’re not sure which one. We’ve watched Sansa and Arya go through so much as individuals during their separation, but could their long awaited reunion turn deadly? Arya is certainly lethal and sort of threatening, but when Sansa sends Brienne away, who is Arya’s natural protector, something is coming very soon between them, and it will be violent but surprising. We witnessed the young women’s already tense relationship reach a terrifying moment last episode. After Sansa discovered Arya’s bag of faces, the teenage assassin threatened to do the same to her. As she pointed a dagger towards Sansa, full of quiet, simmering rage, there was a split second where you could believe Arya is capable of killing her own sister. To make matters even more worrying, the preview for the next episode doesn’t show Arya. However, it does show Sansa wearing a dark hooded cloak, looking a little bit like the Grim Reaper as she walks alone along the icy walls of Winterfell. Her ominous appearance could suggest Sansa will be the one to murder Arya, despite the latter’s prowess in killing. Alan has worked with the Game of Thrones team from the very beginning, and has a uniquely close insight into the development and motivations of the characters. With all the wights wreaking havoc beyond the wall, are we ignoring another looming threat within the familiar, homely Winterfell?